Бронзовый дракончик! Как раз вовремя. Этого пета позволяет выучить Шкатулка Времени, которая дропается с мобов 90 уровня в Выжженных землях. Внешне пет аналогичен другим дракошам, которые дропаются с мобов в локациях - Маленький багровый дракончик, Маленький изумрудный дракончик, Лазурный дракончик, Маленький темный дракончик, только имеет оранжевый цвет. Умения у всех дракончиков различны. Am I just lucky? Got 2 of them while doing new quests, no farming at all. Like... <100 mobs killed for 2 boxes. Дракончик будет падать даже после пре-патчевского евента. Шкатулка падает не только с орков! Мне выпала со второго квестового огра. Первая шкатулка упала примерно с 900го моба, вторая с 200го. Ну чтобы примерно понимали шанс выпадения. Вчера выпало 2 штуки (с орка и с огра) во время выполнения квестов. Есть отличное место фарма - куча элитников у самого портала. Желателен танкоспек. В мишке за час выбил 4х. Конкурс - Самое большое количество минусов у меня! By Elune, not a 4th... er... 6th .. no wait... 7th, yes 7th. Drops off of Iron Horde mobs in the Blasted Lands. During (and after) the pre-launch invasion event. I don't want to wait until the 15th! The Bronze Dragonflight are my favourite dragonflight, so this just makes me more excited for the pet. This is a very good looking pet, just like the other whelps. At last, your very own portable Chromie! It's about time the Bronze Whelp showed up! "Did I miss anything? Oh WOW!" Just had the Time-Locked Box (It's rare) drop from an (elite) Ironmarch Legionnaire west of Dreadmaul Hold. I was on the quest where you poison the stew pots. Can confirm it also drops from the Ogres in the event. Best place to farm for this is Okril'lon Hold. Lots of mobs with a quick respawn rate and most people don't kill all the mobs because it is near the end of the quest chain. I start at the gate and kill the all the guards and by the time I make it to the keep the ones at the gate have respawned. Confirmed that this pet will drop off of the elites around the Dark Portal during the event. Breed is B/B, so it appears (as of this posting) that this is a one-breed pet. I haven't seen anyone getting a non-B/B one. Confirmed this drops off Orcs and Ogres in Blasted lands. low low drop rate, but worth it! The pokedex entry specifies this whelpling is female. Not so with the others. So tell me which is more likely: That they are all mysteriously female, or that they are all Chromie? Don't worry; she'll escape the time loop eventually.... after she battles freakishly strong mice for the amusement of each and every one of us. So, if you want to rename the pet, you may want to use female Bronze Dragonflight names, which usually ended in "-ormi". Johnathan LeCraft confirmed on twitter today that the Bronze Whelpling pet will continue to be available even -after- the pre-patch event has ended. So don't worry if you can't get it to drop during the big rush. I got a P/P breed of this pet but I currently only see WoWHead listing B/B type. Edit: Looks like the other breeds are now listed above :D glad I got a good one it seems because boy do I not want to spend another few hours farming another one! According to Jonathan LeCraft, Senior Game Designer, the Bronze Whelpling will still drop from mobs after "The Iron Tide" event is over. Dang, was this frustrating! I did the quest lines on my main and started to farm, no luck for about an hour. I decided to get my killing machine (arms warrior) and started massacring all manner of Orc, no matter the title or elite status. I was dropping the elites 6 - 10 at a time. For 6 hours, nothing. I ended up with over 500 grey items, the armor & weapon fragments. Logged off in frustration and went to bed. Logged on today and had one 10 min into my session. I would suggest for future farmers of this, if you're not having any luck, don't go for as long as I did. 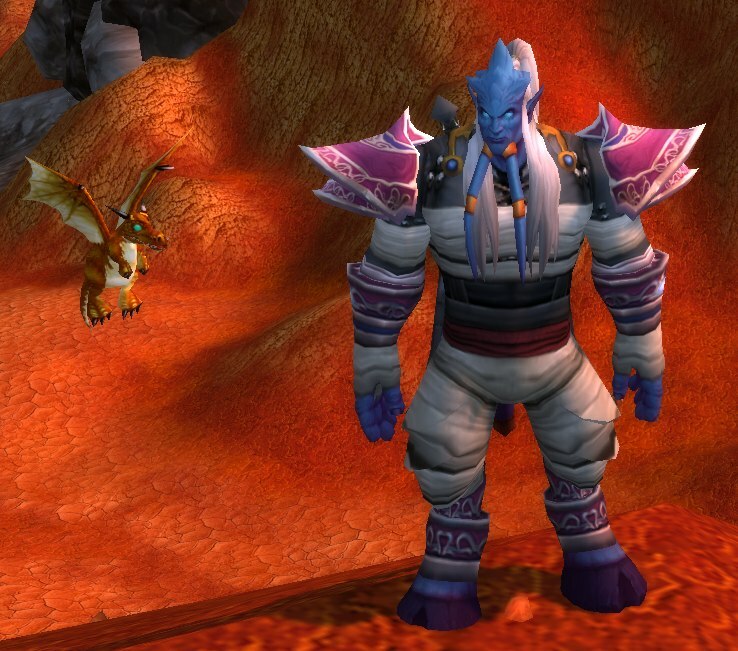 Try the new dungeon or quests on other toons and come back later. Its worth to say that this one is the ultimate pet for killing flying ones =) Alongside with the nexus whelpling. "theory' Drop rate seens to be around 0,1%, i had a total of 918 kills to get my 2 drops, Really not sure about it, only especulation. I've had three drop in a matter of hours within the mines just west of Nethergarde Keep. There are two entrances clearly marked on the map. There are lots of Iron Horde mobs, they're in groups of twos and threes, and have what appears to be a five-minute respawn timer. From my testing these seem to have a 1/500 drop chance and drop from any mob in the invasion, so we just need to find the high mob density spot or something that instaspawns. (Instaspawns were nerfed). There are several good spots available, but the best so far seems to be the Nethergarde Mines (Guide available here). Entrances are located approximately at coordinates (50,10) just west of Nethergarde Keep and north of the baddies. The mines themselves are not good to farm without a dedicated route because enemies have the normal 5 minute respawn timer, but there are a ton of mobs if you do it well. Hop up the first alcove on the left and follow along the corridor. Ignore any bridges or side passages on the right. Clear out all the groups of 4 and 7 and bunch them together if you can. When you hit the end where there are ghosts, jump down, kill the ghosts, and run towards the minecart track where the 4 Гренадер Железного МаршаIronmarch Grenadier are. Stay up and on the path to the left. After 3 Десятник Железного МаршаIronmarch Foremen, you should be back where you started, although you can clear out the entrance again if you're a lock or monk and just super quick. Not to burst anyone's bubble, but I have been farming this drop in the cave for 2 days now close to 10 hours and over 2000 NPC's killed and I have yet to see even one of these pets. Would just like to say that the first mob I killed in the mines West of Nethergarde Keep dropped one for me. Maybe checking there? The Маленький бронзовый дракончик sports a skillset that greatly depends on speed (for the better or for the worse). Fortunately, it has both P/P and S/S as available breeds! Needless to say, your pet's speed will determine which of the two is better - with S/S breeds favoring Arcane Slash and anything slower going with Tail Sweep. As with all stuns, they're much better if your pet goes first; as it'll also interrupt the attack this round - so Crystal Prison will be best in the hands of the S/S whelp. Early Advantage isn't as straight-forward - It can be quite deadly in the hands of a Power-heavy Whelpling, but due to the way the ability works (calculating the 2nd hit based on enemy health after the first hit) it is also easier to use for a speedy Whelpling. Lift-Off has two completely different uses, depending on your whelpling's breed. In the hands of a S/S whelp, it's can be used preemptitively for avoidance; while in the hands of a P/P one, it's a hard-hitter that will often trigger your Дракон passive straight away. More predictable, but also more punishing of swaps (or lack of thereof). For both breeds, and in PvE mostly, it can also be used to delay Дракон so that it's available when next pet swaps in; so it has some added strategic value. Finally, Arcane Storm can be used as an AoE (and, since 6.0, also as a single-target nuke), but is counter-sinergetic with Crystal Prison; so it'll be best suited to a P/P breed. Overall, the S/S breed offers the most "unique" gameplay; with the P/P breed being very similar to its corrupted sibling, the Дракончик бесконечности, while also having less attack. Edit: It has been discovered that it also comes on the H/P and H/S breeds. As one would expect, those two breeds are terrible for battling (with H/S being the worst), not fitting any niche at all and making the task of getting the desired breed that much harder. At worst, they are still good for collection purposes. I can suggest you killing mobs in the Okrillon Hold, since there are a lot and they have a low HP. It just dropepped for me in like 10 minutes after farming Ironmarch Gundriver. I got this after killing just 1 of the Iron Horde Scouts in the camp. Wooooo :D Lucky me? Finally got one from a Legionnaire near the Dark Portal. It's the P/P breed. It's the first of the rare drop whelps I've ever gotten. I only had the Onyxian and Proto before. As a guardian druid ilvl 574 I found that killing the large group of adds at the Dark Portal being very good. Got my Time-Locked Box luckily after the 2nd round of orcs, but takes quite the time to respawn. Takes about 10-15 minutes for them to start respawning, and I suggest people playing dps to not pull these all into one big group cause they hit really hard. There's 36 of them and takes about 1 minute to kill them. It is another good pet that works well to counter Flying pets, as it take reduced damage from flying as it is a dragonkin, and with magic attacks it deal increased damage (Чародейский выпад and Чародейская буря). Does anyone know if this pet will still be obtainable after the pre WoD event? Is it only obtainable during the Pre-patch or can i get it after WoD hits? I spent about 45 minutes in the Nethergarde Mines killing NPC's and finally got it to drop. I'll submit a screenshot of the exact location inside the mines of where the mob was that dropped it. The Nethergarde mines are located in the blasted land. 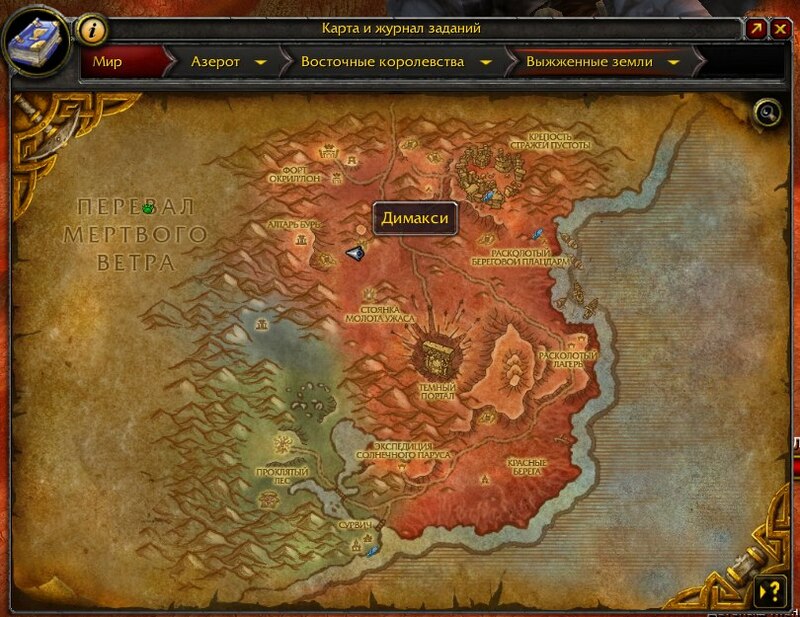 Head due North and it will be at the top of the map where the mountains are.. Take the portal which is located next to the mage trainer in the Cleft of Shadows located in Orgrimmar to get to the blasted lands. The NPC's located here are level 90. Just keep trying and you will eventually get a blue item dropped called "Time-locked box". This is the Bronze whelping, so don't throw it out now realizing what it is. This is the best information I can give based off my experience. Oh and you don't have to have W.o.D. to have them drop. Best of luck, just keep killing the guys located inside of here. (First post sorry if it's the greatest or in the correct format). Dropped for me today from a forager after an 1 hour. As a moonkin lvl 100 you just can pass by with star fall and you only have stop to loot the corpses. I was just killing the mobs that wowhead says can drop the pet. I found the best way to farm this is make a route between okrillon hold and NetherGarde Keep, killing just the outside mobs and ignoring the inner mines and forts. Ill try to clarify the drop table trying to get another pet killing only ogres and ill post my data. For developers looking for this pet's species id it's 1563. A very powerful pet. It's Speed/Speed will easily destroy most other pets, and vs. Flying pets this little girl is just a riot. Go 1,2,1 and have fun! A very powerful pet. It's Speed/Speed will easily destroy most other pets, and vs. Flying pets this little girl is just a riot, due to the main damaging abillity being magical but the pet being Dragonkin. Fun Paradox, the whelpling is not lost in time. She's been busy fighting for you and other players all these years. Are there any pets that would go well with this one? I want to make a team with it now that I know I have the S/S breed which as another commenter stated is by far the best one. Just got it. Been trying for a couple of days for an hour or two. Today logged in and killed two guys. RNG was kind to me. It dropped off one of the Ironmarch Foragers just up on the ridge from the portal. Got it ! I farmed in Okril'Ion Hold first, than went to the mines and killed probably all that was there to kill, went back to the Hold and got the Bronze Whelpling drop from an Ironmarch Forager. Took me about 20 honest and worthy minutes. Note: There was no event, so yes, it is possible to get it anytime. Perhaps maybe 15 minutes...area - section where you first enter the blasted lands from swamp of sorrows...50.68, 12.33 - need to be in present - do not speak with Zidmori - just killed everyone who moved - took no time at all - drop is "Time locked box"
I just picked this up after 62 kills in Okri'lon Hold. The best spot in this area was the 2nd level, outside. I just ran in a circle and the mobs re-spawned very quickly. Этот бронзовый дракончик был затерян во времени, пока необычное событие не открыло ему дорогу в наш мир.